The Internet of Things meets Fitness with Cycli, the first portable exercise cycle that connects to a smartphone via Bluetooth. With Cycli, made by Flint Rehab, users track their exercise and compare results with family, friends and co-workers – with its Kickstarter launch, Cycli makes exercising fun and easy no matter the location. Cycli, the World’s first Bluetooth-enabled portable cycle, started pedaling its social exercise innovation on Kickstarter today. 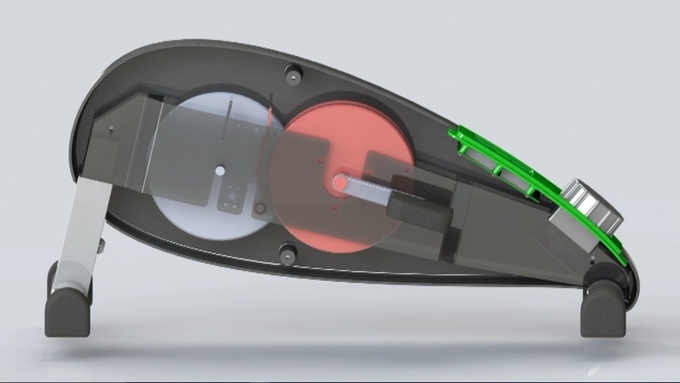 The creators of Cycli have spent seven years in the medical industry developing innovative tools to help people recover from stroke and brain injuries. Now their experience and know-how is aimed at helping anyone who wants to get fit while sitting at their desks, at work, or on the couch at home. Cycli was created as a fun, competitive, and interactive way for people of all ages to engage in social exercise from any location. 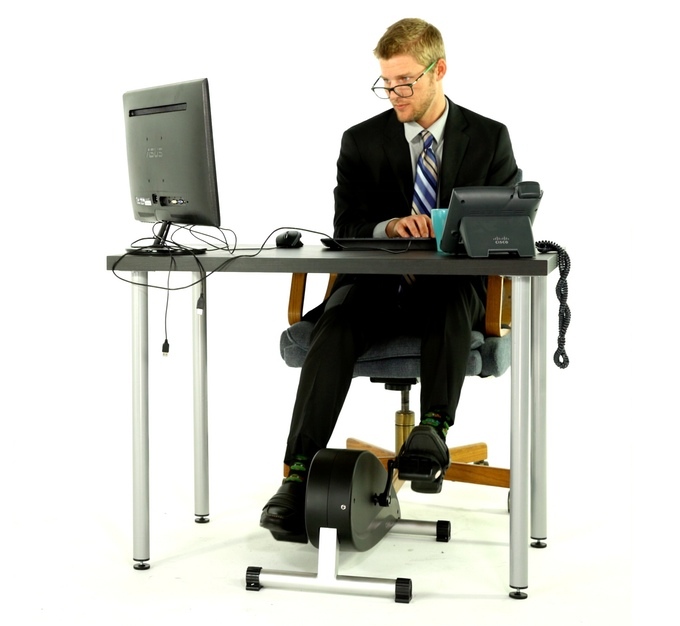 Simply place the lightweight stationary cycle in front of a chair, couch, or under a desk - set the resistance and start pedaling. With a built-in touch screen interface, Cycli automatically measures the number of reps completed, calories burned, and time spent cycling. This data is automatically synced to the user’s smartphone via Bluetooth, allowing them to track their progress. The Cycli app also lets users create and join public or private exercise groups so they can easily see how they stack up against their friends, their city, or even the whole world. 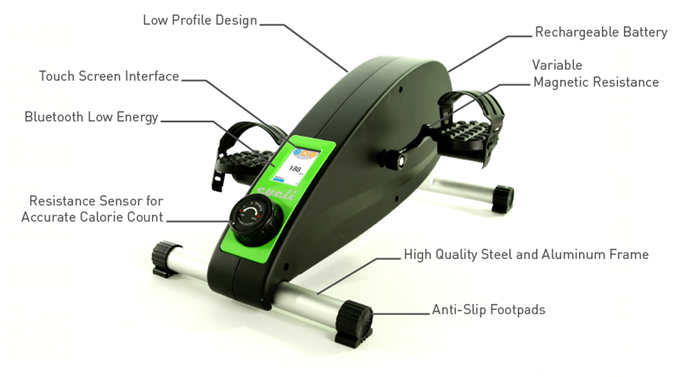 Cycli includes several features that are not available on any other portable cycle. In addition to its social connectivity, Cycli boasts an elegant, low profile design with a variable magnetic resistance mechanism for smooth and quiet operation. 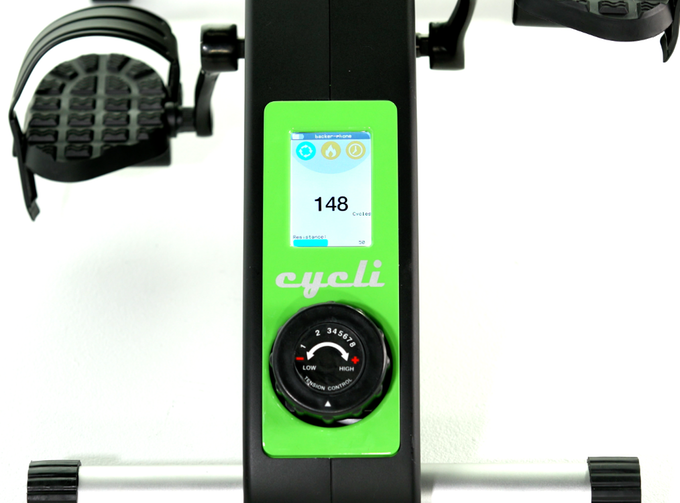 Cycli is also the first portable cycle that can detect the resistance setting, providing users with a much more accurate count of how many calories they are burning. All this comes with a rechargeable battery so that users can work out anywhere and with anyone. Studies indicate 1 in 10 Americans will die prematurely from lack of exercise, that's roughly equivalent to the number of deaths from smoking cigarettes. Another problem plaguing people all over the world is too much time spent sitting. Medical researchers say most of Americans spend upwards of 10 hours a day sitting down. 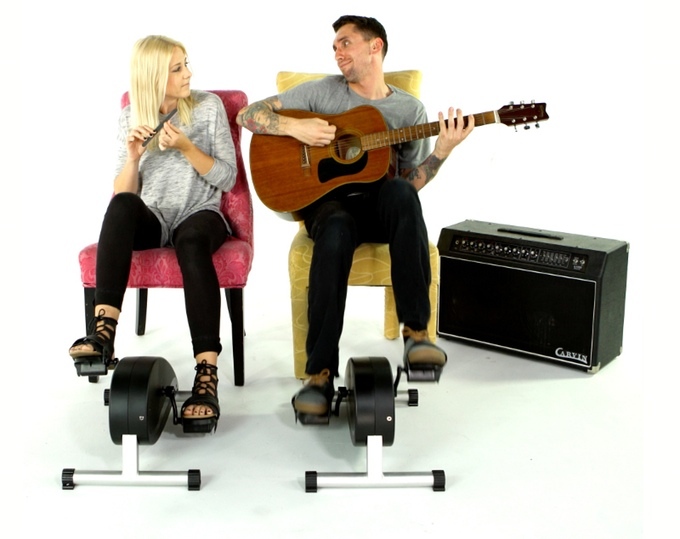 Unlike an exercise bike, Cycli makes sitting healthier by allowing people to exercise while in a chair. Cycli is available for pre-order on Kickstarter with special discounted early bird pricing.